It’s that time again! It’s time to shack up in a van with a bunch of my favorite running people and hit the road for a 34-hour overnight relay. This is my third Ragnar, second DC, first Ragnar without my buddy Meagan, and it will be my second time representing my MRTT chapter. I’m runner twelve which means I will get to bring our team home as I come running, shouting, and high-fiving into Nationals Park. I was secretly hoping Ian Desmond would be there to put my finisher’s medal around my neck, but the Nats are out of town this weekend. If you don’t know who he is, he’s only the best looking shortstop in the MLB, and my Nats crush. As I write this on Wednesday, I’m stalking the weather…. 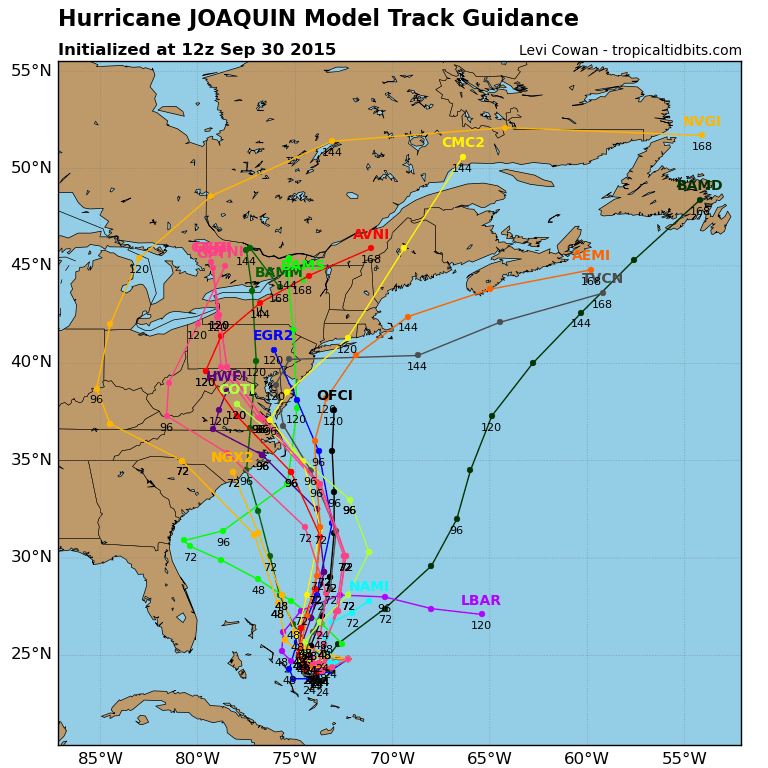 Hurricane Joaquin is currently churning near the Bahamas and anything can happen. There are so many possible scenarios that it’s impossible to predict what we might encounter. The only thing that seems for sure in that there will be rain, and most likely lots of it! By early Wednesday afternoon we were notified that it was game on, and it was time to start packing – snorkel optional. 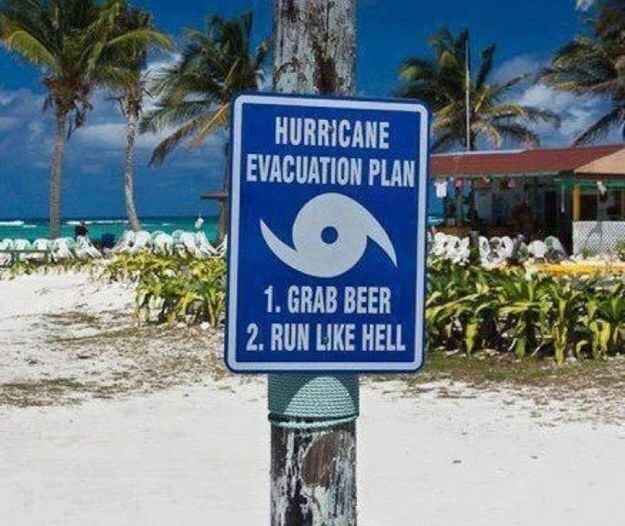 Since Ragnar Relay prohibits any sort of alcohol from the time we start until after we cross the finish line, we’ll have to scratch #1 of this hurricane evacuation plan, and jump right to #2. Oh, and did I mention that while we’re waiting to see what Hurricane Joaquin decides to do, a Nor’easter has the DC Metro area under a flash flood watch from 8 AM Friday through Saturday evening. Well, that pretty much covers our expected 5:45 AM Friday through 4:30 PM Saturday run time. Snorkel optional, indeed! 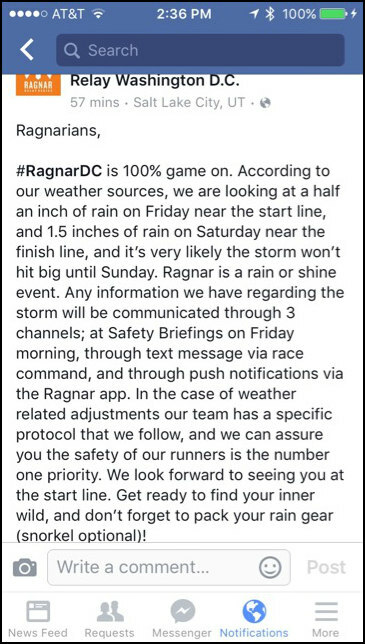 While you’re reading this, our Ragnar DC team is getting ready to start running at 5:45 AM. I’m in van 2, so we will start running after the final runner in van 1 hands off her slap bracelet to the first runner in our van. I thought today would be the perfect time to introduce you to the fun, talented, and amazing women who make up our team. Céline started her running career when she joined the Army, and found that it was a way to fill her time while stationed away from her friends and family. In 2004 she completed her first half, and has since run as a way to stay healthy, both physically and mentally. In 2008 she injured her right hip in Iraq and since then running has been a love/hate relationship – loving it for the runner high/weight management and hating it because she could barely walk after her runs. Today she is three months post-op from hip surgery and is slowly working her way back. She is optimistic about her future, and in the meantime enjoys supporting other runners (she is our MRTT C25K coordinator). She enjoys seeing her new friends achieve their running goals, and says she lives vicariously through them until she can hit the payment again. Stacey started running in 2006 in college when a few of her friends decided to run a 5K; however, she wasn’t a consistent runner until 2011. Her first major race was the Army Ten Miler and she’s been hooked ever since. She doesn’t have any races scheduled after this, her first Ragnar, but she’s sure she will be signing up for one soon! Jennifer has been an on and off runner since 1996 when she joined the Air Force. Running has been therapeutic for her during the many different seasons of her life. About a year ago she stumbled upon MRTT, and has found running with friends to be amazing. Fellow chapter members have pushed her through so many miles and she’s thankful for each one of them. This is Jennifer’s first Ragnar, and she’s already sure it won’t be her last..
Katie started running in 2007 with some women from her neighborhood. She was quickly sidelined with Crohns Disease, but fought through and eventually ran the Disney Princess Half Marathon. 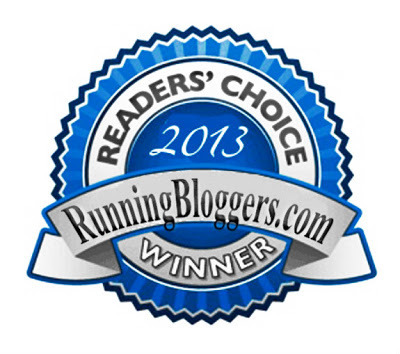 She’s not without issues… but I manages to run with Crohns – take that Crohns! Katie has completed two marathons, over ten halves, several shorter races, and even two Spartans! This fall Katie will run her fifth Army Ten Miler and second Marine Corps Marathon. She’s been a member of our MRTT chapter for two years, and is looking forward to challenging herself with this Ragnar – her first. Amy started running in 2011 when she ran the Hot Chocolate 5K in DC, and it was there that she realized how much fun it is to run with friends! She has since run about ten halves, one full, and many shorter races. Amy joined MRTT two years ago, and this was her first Ragnar. 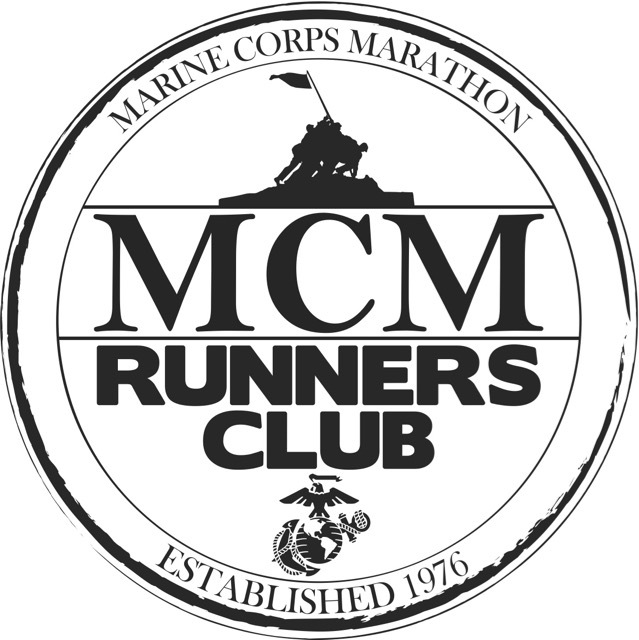 Next up for Amy is the Army 10 miler and the Marine Corps Marathon. Vicki has been running “seriously” since last fall when she and Céline joined our MRTT chapter and completed our Couch to 5K program. She’s been addicted ever since, both to the road and our MRTT community serving as one of our volunteers. Vicki ran her first half this past April, and has had running Ragnar in her sights for over a year. Misty has been running as long as she can remember. After her first child was born she got back into serious running for not only her health, but to meet other moms. Misty loves the sport of running, the friends she has met along the way, and that she can run whenever and wherever she wants. She has run one marathon and last year became a Half Fanatic. A huge fan of Disney races, Misty will be running the Princess Half again next year. Misty will be stepping out of her comfort zone with Ragnar, and is looking forward to its challenges. Dee started running in 2013 in her neighborhood after years of running exclusively on a treadmill. Her busy work schedule never allowed her to stick to a continuous schedule until she found our MRTT chapter and joined the C25K program. Her races to date have been 5K’s and her goal is to run a Ragnar after being our van driver and observer this year. Kim started running in 2004 with the AIDS Marathon Training Program while training for the Honolulu Marathon. She loved running and joined the Cruisers after her co-worker Bill (my husband) told her about our running group. 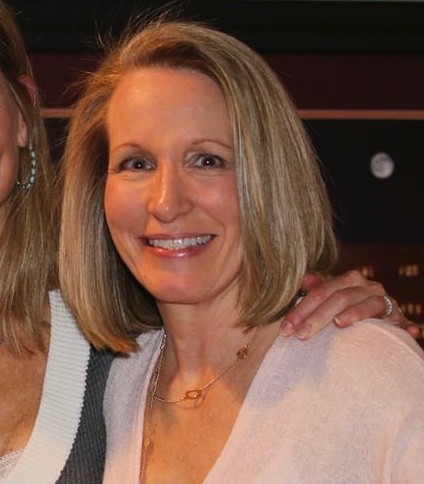 Kim was introduced to our MRTT chapter through Amanda in 2013. When her exercise was limited during her third pregnancy, she couldn’t become an active member until 2014. This will be Kim’s first Ragnar and she is pumped! Kim has run the Marine Corps Marathon twice, and will be running the Chicago Marathon next Sunday. Amanda’s running career started with Couch to 5K back in 2008, back when she ran alone exclusively. Amanda was introduced to her first running group, the Cruisers in 2013 by Kim. While training for the 2013 Marine Corps Marathon, Amanda joined another MRTT chapter for early morning runs. She took the chapter leader position for our chapter in late 2013, and is the captain of our Ragnar team. 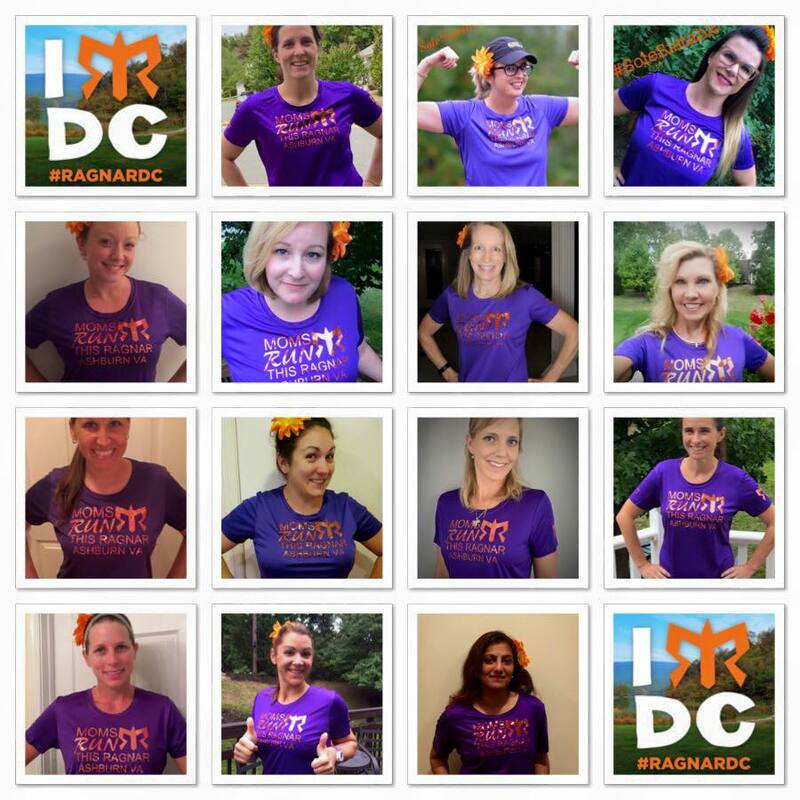 This is Amanda’s forth Ragnar on an MRTT team (two Ragnar Trial Appalachians WV and one Ragnar DC). Next up for Amanda is the Chicago Marathon next Sunday! Laurie was a miler all through school setting a 5:15 mile PR! After burning out due to six years of very hard training, she gave up running. It wasn’t until about twelve years ago that Laurie took up running again, and in a big way – she completed a marathon. Since that time she has become addicted and looks forward to each run and the time she will share with friends. Over the past year, Laurie has watched her friend Rachel and Ragnar teammate go from a walker to a half marathoner, and trained with her almost every step. This weekend they will complete their first Ragnar together! Rachel hated running until a year ago. She always said she’d never run and would stick with fast walking for exercise. When friends told her she could turn her fast walking pace into a run if she’d just pick up her feet a smidge, she wouldn’t budge. Eventually she decided to give it a try and hated every. single. step; however, she loved how she felt when she finished, so she began running – a lot. Her friend and now Ragnar teammate Laurie suggested they run together, but Rachel was afraid she’d hold Laurie back. Eventually Rachel ran the Army Ten Miler with her “Sole Sistah” Laurie, and soon after accidentally happened upon MRTT. This past spring she ran her first half and during training she lost her mom. Her friends and her training runs were her therapy, and she will cherish their kindness forever. Rachel and I were teammates at Ragnar Trail Appalachians WV, her first Ragnar. Debi ran when she was younger, but never took it seriously. After her second child was born in 1990, she started working out and running. Running became more significant after she was diagnosed with a rare blood cancer, followed by Leukemia. After her bone marrow transplant, she lost all muscle control and couldn’t even walk. Baby steps on her treadmill eventually turned into running! Losing her mobility made her fight hard to get it back. Today she runs both for fun and in races. This is her first Ragnar. Seriously, you already know enough about me, but if you’re new to my website, you can read about my running history here, and see my race results here! Twelve runners, two drivers, fourteen women with a new bond. One team! Have you run in a relay race? If so, what’s your biggest piece of advice? Have you ever run a race in a nor’easter or hurricane? Great post! I love how you introduced the team. I did Ragnar DC in 2013 (Moms Ragnar This Town). It was a blast. My biggest advice is that while it is tempting to eat the junk food as if an overnight grown-up slumber party, make sure you get in some healthy protein and carbs right after your runs. Use compression if you like that as a way to help circulation and improve recovery. I don’t have any tips for sleeping – I think I possibly got 30 minutes total. Good luck! Great minds think alike… I take my own food and don’t partake of any of the snacks being passed around the van. I have to be so careful of my stomach before running, so I don’t risk anything. And whenever I wasn’t running I had my compression socks on! love it! Have a great time this weekend! Rain what rain?? Thanks! It was a blast – but how could it not be with a van full of MRTT friends! Good luck and have fun! I ran Ragnar Great River in MN last summer. it was hot and humid, and we were all kind of wishing for rain towards the end. But not a hurricane! Be safe! Can’t wait to hear all about it ! Karen – Fit in France recently posted…Weekly wrap #9 : I was starving ! It was so much fun! It’s going to take me a few days to sort through all of the pictures and memories! I love how you just introduced me to all of your team!!! Love this! everyone helped get to know them better! Awww I hadn’t thought about the fact that it was the first Ragnar I was missing out on with you! The weather forecast from that weekend was crazy! Even if the hurricane missed, y’all had that Nor’easter bearing down on you! The Nor’easter was more than enough rain for us, but still seemed to pale in comparison to Ragnar Trail WV. 🙂 And yes, we missed ya!